My previous blog mentioned the stage of my progress toward the Ph.D. in Psychology. The fact is, my children were ages 4 and 6 before I finally completed the dissertation, passed the orals, and received the degree. Today the research I finally ended up doing could be completed, statistically analyzed and all, in a couple of weeks. So why the delay? Boston University is, obviously, in Boston, Massachusetts and I was living in Hamden, Connecticut. Long distance calls cost money in “those days”, based on the minutes spent. There were no cell phones or personal computers. Snail mail was the only method of communication as I tried to design research that wouldn’t cost me money or time away from home. At one point I mailed in a big brown envelope containing a proposal so crazy it made me look diagnosable. I guess it had a shock factor, because Dr. Phil Nogee.came to my rescue. He and his wife even welcomed me into their home for a weekend (while my husband could be with the children). Together we came up with a proposal that involved throwing darts at the complicated side of a dartboard and estimating one’s score. Yes, it really did provide useful information. And it could be done in the basement of our home. While subjects headed down the cellar stairs with me, Lou served Italian pastry to those waiting on the porch. Well, actually one potential subject got spooked and left. Anyway, my children were the only kids in the neighborhood who played thesis – papers spread out all over the floor as I punched away at a Friden calculator, borrowed on a daily basis from my husband’s work site. Human error was a factor, so usually I had to run through the whole process several times before I got it to come out twice with the same result. I guess this is not so much a gender story as a historical one. But when all was finally accomplished and I traveled to Boston for the orals, I learned that the faculty had assumed I would not complete the process once I had chosen the career of wife and mother. I googled “secretary” to validate my observations. Yes, it was originally a title for a male occupation – until sometime after WWI when it opened up to women. My father, when he came to the US from Sweden in 1910, included in his armament of skills the ability to take shorthand. By the time I arrived in the world it had become a skill attributed primarily to women. Sorry to keep you waiting while I traveled a little off to the side. Now I’ll move on to tales out of (or in?) school, primarily from the late 1960s through the mid 1980s. Southern Connecticut State University was at the time still Southern Connecticut State College, with its roots in teacher training. The Education Department was of primary focus. In spite of requests from some of us faculty parents, however, there was no training school involved. By the way, I believed then (shamefacedly) and I do now, that the socialization offered by being with other children in such a setting is extremely valuable – assuming, of course, that the situation is of high quality. At any rate, no one stopped me from bringing my children to school and paying a student to babysit with them in my office while I was in class. One of the really great things about teaching in a college. I had a neighbor who taught at Quinnipiac. She was not allowed to bring her child to school. Now, more stories in no particular order, mostly left for you to draw your own conclusions. Remember Title IX, with its initiation in 1964? It took a while for it to be seriously applied to women’s sports. Women made 58% of the wages of men for the same jobs. Today by one calculation it has reached 82.1%. Other calculations are lower. At the time, childcare workers were earning at the same rate as parking lot attendants. I haven’t checked to see if that is still true. Women anchors were, in my memory, absent on TV and radio news stories with, perhaps, some notable exceptions. The same goes for women reporters, especially in war zones. The claim was that women’s voices were not strong enough to elicit respect. There were no (or extremely few, if any) women firefighters, mail carriers,lawyers, police. And what do you call women police? I’m not sure that one has been fully worked out, but they certainly are now part of the police force – and not just as meter maids. If TV series are to be believed, they are often high ranking officers. So, what does one call them? But people tried. At one meeting of a smaller gathering of Liberal Arts “chairs,” I interrupted the discussion after some period of time saying, “Gentlemen. I feel if I were to look in a mirror, I would see no one looking back.” I responded to the quizzical looks by referring to research observations that women were rarely heard in meetings where both sexes were present. Even when the discussion paused to politely give her a chance to speak, the conversation picked up right where it had left off, as if she had said nothing. It’s true. I remember being on a one-semester sabbatical in 1980, listening to a discussion on TV while I was doing my noontime floor exercises. Suddenly I heard a woman’s voice start to say something. (Oh, there’s a woman in the group, I noted.) A man’s voice entered to say, “I’m sorry. I’m afraid we’ve been ignoring you.” And then I heard nothing more from the woman. By the way, she with her dark hair and olive skin and I – blonde all over at the time – apparently were an interesting pair. I remember having dinner together when we were at a weekend workshop. The two guys who approached us allowed as how two such pretty women shouldn’t be wasting time on such professional stuff. But wait, readers of this blog. This is really a story of effort and consideration. After I had said the “mirror” thing to my male colleagues, they took great effort to stop after every round to ask my opinion. It was awkward at first, but after a while I had been neatly folded into the discussions. The thing is, we were all swimming in the waters of habit – both men and women – and there were both men and women who desired to equalize things – to introduce fairness. We all needed a call to see things differently. The same sort of thing happened with retirement ages for us state employees. originally it had been that women were eligible to retire at 50, men at 55. That was equalized by setting 55 as the retirement age for all employees. It’s only fair. Oh yes, stories out of school. In 1964 I was the president of the Lutheran Church Women at Christ Lutheran Church in Hamden. A reporter for the Women’s pages of “The New Haven Register” wanted to interview me as a person in that leadership role. The deal was to photograph me with some “favorite” recipe I had prepared. I couldn’t think of a “favorite” recipe, so I made what my mother-in-law suggested – stuffed breast of veal. Anyway, here’s the deal. I had just received my Ph.D. and told the interviewer so. It was of no interest to her and didn’t show in the story. And I thought it was a big deal! Oh well. One result of that article was a phone call from a male student saying something like “That’s you, alright, a stuffed breast.” Whereupon I replied, “be careful. I recognize your voice” and he hung up. All that happened before I had become involved in teaching the psychology of women or doing the “Healthy Woman” talks. Just a hazard of being a college teacher – fair game for insults. But also for compliments. Here’s another “in school” story that I love. Just a bit of background. What people didn’t quite “get” – in fact maybe some people still don’t “get’ – was the benefit of that women’s movement to men and to families. I love it now when I see dads in the grocery stores with their kids. But, I’m straying. There was a man who was actively involved in several committees on which I also served. He took to bringing his baby with him to meetings, carried in her little baby carrier. When it was his turn to present, some man or woman would hold the baby. I still feel warm all over when I remember that sight. I mean, that was really unusual at the time. Not like today when some men choose to be stay-at-home dads. Then there was the woman in another department who told of her little daughter saying to her girlfriend, “Lets play Mommy.” Next thing they both were carrying their “briefcases” off to work. One more thing. We used to long for things like job share, or, as computers became more common, working from home. Economics and technology make a difference. Now that dream is a reality for many women and men. Oh my! I’ve never written such a long blog. I hope I haven’t driven you away from my site forever. On the other hand, it would be so great to hear comments from you, either things you remember from “those days,” or stuff that surprises. Given past experience, I won’t be surprised to hear from some who have found this annoying. Bumper stickers and T-shirts hailed the message in the New Haven CT area, from the 1970s well into the 80s and 90s. It was the theme of my talks around town, based largely on my teaching the psychology of women at Southern Connecticut State University, and elaborated by experience with clients, and even my own life. Women seemed to know immediately what it meant. Men “got” it when I explained it. I’ll tell you where the title came from, and what I want to do with it now, but first I want to tell you why I’m inspired to write about it at this point. Recently a nurse blogged about e-bola, evoking many responses. I’ll bet the total has reached into the hundreds. Here it’s not my purpose to respond to the content of the blog. What caught my attention was the stubborn assumption that the nurse in question is a female. Even after he identified himself as a man, people continued to refer to “her” and “she” in their responses. That’s when I was struck with the way stereotypes hang on. I believe it was in the early 80s that one of my advisees came to me in really heavy stress. He wanted to go into the relatively new and very powerful nursing program being developed at SCSU. The problem was his family was practically threatening to disown him if he did that. Oh no, that would mark him as too feminine. I think he courageously chose to defy the norms and I’ll bet he’s a great nurse. But the stereotype still exists, without the stigma, I think. So why am I writing about it now? In general, I want to remind myself and others how a little patience – and activism – will see positive changes in cycles of twenty or so years. And of what some people went through to get us there. I think I don’t have to add the “now.” It’s pretty obvious – at least, that’s my take on it. But these are reminders. Just a little more commentary about that period of time. My daughter, age thirteen in 1973, was moving on from Drs. Lacamera and Wessel, two absolutely wonderful [male] pediatricians who had cared for her and my son. She wanted a referral to a female physician but none were available to her. Residencies were basically denied to women at Yale-New Haven Hospital. 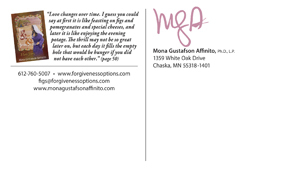 In the late 1970s, my women clients were longing for female physicians, and some were becoming available to them. Let me go back a little farther, to the late 50s when my husband and I moved to the New Haven area to follow his job. I had completed all but the dissertation for my Ph.D. Warren Bennis, one of my Boston University professors had given me a referral to a colleague at Yale who seemed like a good potential for a job for me. I solicited and got an interview with him. It went pretty well, I thought – possibly a position as a research assistant. But my parents brought me up with this hefty superego that led me to tell him at the end that I did think I might be pregnant. I left with the message he would get in touch with me. Some time passed and I called. “Oh, the secretarial job has been filled,” I was told. Interestingly in light of the waters of the time, I blamed myself for having told him of the possible pregnancy. I have a different take on it now as I look back. Oh yes, more stories from “ancient” times before I explain the title. In 1958 I was blessed with a mentor. I didn’t know at the time that he was a “mentor.” That word wasn’t yet in intentional vogue. He was just a psychology department chair who respected me and my potential. He agreed to hire me to teach a couple of evening classes. (That way I could be a full time wife and mother during the day.) But before the deal was completed, he had to introduce me to the college president. “I’d like to plan for a full time evening faculty member,” he told Dr Buley, “and Mona would be the candidate of my choice.” The president opined that he didn’t approve of hiring married women whose first obligation was to their husbands. He would allow my teaching a couple of evening courses since Dr. Trinkau enthusiastically recommended it, but that was as far as he was willing to go. I want to rush to say that Dr. Buley did turn out to be much more tolerant as a couple of years went by and I was hired to teach days. In fact, he was very willing to support Dr. Trinkaus in his desire to promote me. Truth be told, I am very grateful to both those men for saving my sanity. Oh – another story? Once I was fully employed as a faculty teaching mostly days, I was warmly welcomed and supported by the entire Psychology department. Actually, I was not the only female on staff. The others at that time were single. But there was one man in another department at the college who was a part of our lunchtime gathering in the faculty lounge. He castigated me for working outside the home once I was married. His wife, a very talented concert level musician, was perfectly happy, he said, to share her talent with the church. Unfortunately for him, she decided some years later to follow her talent and divorce ensued. It’s based on research published in 1970 by Inge Broverman. In a nutshell, she demonstrated that therapists as well as others reflected the waters of the time by describing healthy men and adults in the same terms, and women as the opposite. What wasn’t emphasized at the time was that men who were warm and expressive were also condemned as “unhealthy.” Consider the student who wanted to be a nurse. There are at least two things that stand out about this, both of which had the potential for getting me in trouble when I did these talks. First: Healthy (read “good”) women were perceived as being the opposite of men Therefore, whenever I said something positive about women it was perceived as a putdown of men. At least in the circles where I travel now I think that bleak dichotomy has loosened. But then, it was common for both men and women to think less of themselves if that oppositeness wasn’t maintained. Hence the reaction of the family who wanted the student to refrain from becoming a nurse. Second: Since so many of our institutions were built on that assumption, I was perceived as a radical working to destroy marriage, jobs, and you name it. Sometimes it was scary. But, I repeat, I want to emphasize the wonderful changes that have occurred over time. Both men and women have been set free of the stereotypes – at least younger men. I could cite some public figures who are still trapped in the 50s, but then I’d be getting into areas where I have opinions but no authority. Enough already! I don’t want to bore you away from my site. I’ll get back tomorrow, I hope, with some examples that may intrigue you, tickle you, surprise you, perhaps even cause a few giggles, possibly warm your hear, and make you feel better about things. I just finished reading “Quiet: the power of introverts in a world that can’t stop talking” It helps to explain why I find this business of marketing “Figs & Pomegranates & Special Cheeses” so frustrating. I think I’m a closet introvert. That is, I want to stay closeted and write. Well, along with a few other things. like seeing clients, and stuff. Marketing is frustrating because it takes me away from what I really want to do. What do I want to do? And finish up work with the web designer and get the show on the road with forgivenessoptions.com. And oh yes, I’d like to do an audio version of “Figs.. “ in addition to the paperback and the kindle. But there’s no sense doing that until sales take off. Today, though, I’d like to share another review that couldn’t make it onto amazon.com. I like this review because it’s a reminder that one doesn’t have to be biblical to enjoy the story. 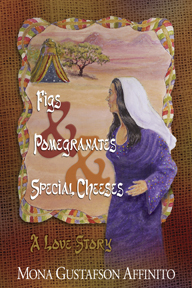 If you haven’t discovered it yet, please note that “Figs & Pomegranates & Special Cheeses” is now available in Kindle edition. And while you’re there, take a look at the new reviews. About the Medicare advice. This is what I learned based on my recent experience. If you have already had the one physical allowed when you first joined Medicare at 65, don’t ever again use the word “physical” when making an appointment with your doctor because Medicare won’t cover it. You are entitled to the hands off “annual wellness visit” which will give the opportunity for renewal of prescriptions and orders for tests to be done, e.g., mammograms, bone density, etc. Check out your manual for details. If your secondary insurance, like mine, piggy backs on Medicare, it won’t cover a “physical” either. If you have secondary insurance that will cover it, then you’re all set, I guess. Check out “Annual Wellness Visit” in your Medicare Manual just to double-check what I’m saying here. Visits to the doctor for specific illness or symptoms are, as I understand it, covered.